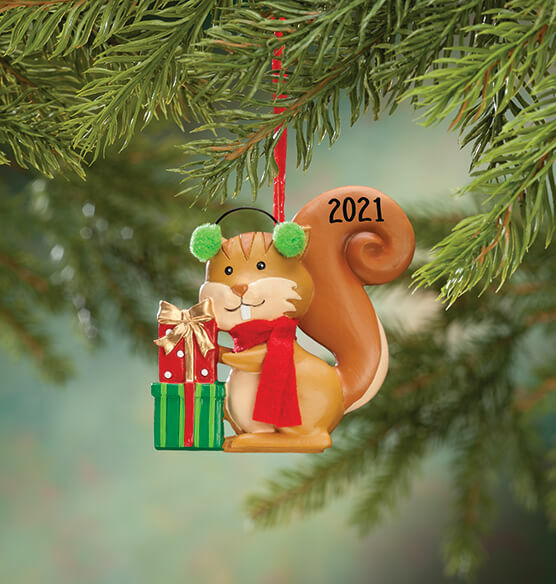 With plush pom-pom earmuffs and cute, toothy grin, this Woodland Squirrel ornament is a treasure you'll be NUTS about now—and for many holidays to come. Fun for kids of all ages, our 3D Christmas ornament boasts darling detail all around (and the rare Christmas critter is only found here!). We'll add any year, creating a memorable gift, or your own family favorite. Specify year; limit 4 characters. Resin. Ornament measures 3" wide x 4" high.